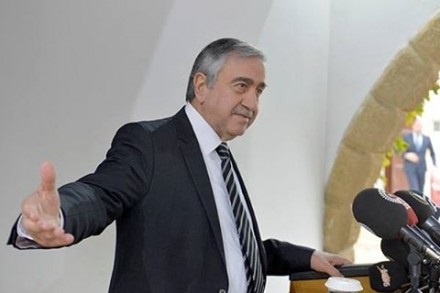 President Mustafa Akıncı has stated that the Turkish and Greek Cypriots, as well as the three guarantor countries, will participate in the conference which will be held on 9 January in Geneva. President Akıncı was speaking in response to questions from reporters following a leaders meeting. The agreement dated 1 December has not changed, the President said, before continuing: “According to the agreement, the Turkish Cypriot side and the Greek Cypriot side will hold meetings from 9 – 11 January in Geneva. We will try to solve the outstanding issues in 5 chapters and will continue our meetings on 12 January in a five party conference. The three guarantor countries will be included in the conference. This is clear”. Furthermore, the President emphasised that there is an article in the agreement that states that other connected parties could be invited if needed. “We have put forth our position on the issue clearly. The EU was represented in Bürgenstock 12 years ago and will also be represented here as an observer to the negotiations. It is clear who the main participants are. They are the two Cypriot sides, representatives of both communities and the three guarantor countries. I think that expressing different opinions on a very clear issue is meaningless”. When asked a question about the tender for natural gas research, President Akıncı emphasized that he does not expect any new exploration in the near future. Wealth derived from natural gas richness is a common wealth not belonging to a single society, Akıncı said, and this should be transformed into a cooperation area instead of a tension area. This could be achieved, he added. The President stated that Cyprus’ natural gas reserves should be combined with Israel’s gas and transferred through Turkey for the needs of Turkey and Europe, as this is the most reasonable and cost-effective way after a solution. President Akıncı also noted that both sides’ different positions on Security and Guarantees in the Cyprus negotiations are not secret. Akıncı said that if one side is insisting on a “zero guarantee – zero soldier” stance, then this is not helpful. The other side’s continuing disclosure that “guarantees are inviolable” is also inconclusive. 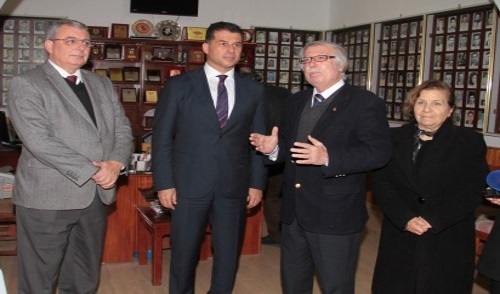 Prime Minister Özgürgün and Interior Minister Kutlu Evren visited the Association of Martyrs’ Families and War Veterans for the 21-25 December Struggle and Martyrs Week, where Özgürgün made a statement. Touching upon the Cyprus issue, Özgürgün stressed that any agreement that is reached should be based on the two states’ political equality, bi-zonality, and Turkey’s full and effective guarantee. Prime Minister Özgürgün also noted that an agreement without these criteria would never be accepted.